Among the many entertaining aspects of Netflix' "House of Cards" is Robin Wright's character's sublimely strict wardrobe. Any woman in a busy print looks like a bad sofa standing next to Claire Underwood, and they both know it. 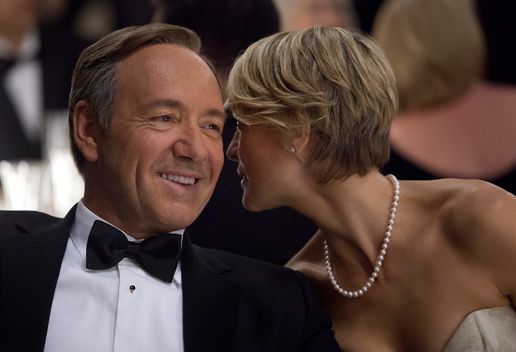 What can the average woman learn from Underwood's haute armor? The key message is that fit, always a requisite on camera, counts in real life, too. I see some lovely women in uneven hemlines and baggy busts. It's not that they don't care, but the bridge or "better dress" offerings are more carelessly made year by year. To do better than an approximate fit, we have to upgrade via sales or consignment, sew very well, or find a pro. Tina Chow had one designer piece copied in many fabrics by a local tailor, for years. We also need to reclaim fit relative to our bodies. If you cannot feel your body in a dress, it's not earning its keep. 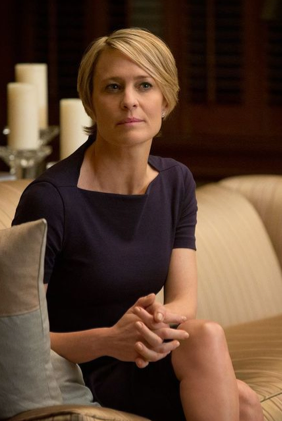 I don't mean garments should be tight; Robin Wright's are, but "House of Cards" is entertainment. However, the piece ought to define something: shoulder, waist, hips. Then, there is the matter of cut. Wright's dresses are longer than what is shown on e-shop or catalog models; the length is in proportion to her frame, but also a more elegant, grown-woman effect. With legs like hers, she could wear a much shorter skirt—and she does not. Whether you have a figure like Wright's or not (is there anyone who wears a pencil skirt better?) we all have collarbones; showing even a glimpse of that feature reinforces the vertical. And finally, don't ever sit down (kidding). Wright attended the premiere party for the current season in a black silk outfit that devolved to a lapful of wrinkles by the evening's end. In real life, even a star is not followed by minions with steamers. There is hardly any jewelry on the character; the lack of adornment is a visual reference to her high control. 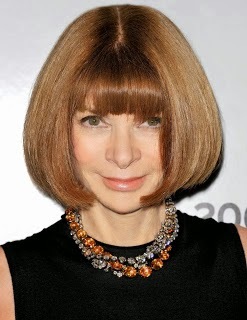 When we see Claire Underwood in Anna Wintour's collet necklace we'll know something's up. But for those women who want a looser, lighter image, I'd choose the "Lavender Queen" keshi necklace from Kojima Company; price, $630. (And Kojima Company has a 20% off sale from today to June 1 with discount code KOJIMAPEARL). In real life, I've met a few "Claire Underwoods", their intelligence evident, their humanity compromised by smiles that don't involve the eyes, and I try to get out of there as soon as I can. But I do admire the wardrobe! Amen to the "more elegant, grown-woman effect". The complete lack of longer dress (and no I"m not interested in sleeveless maxis) at ANY price point is completely maddening - to the point it feels like a conspiracy to keep women uncomfortable and inelegant, hoping their insecurity will drive them to more shopping. ARG! I've often wondered how her character is supposed to sit and *move* in those clothes. She looks elegant, yes, and I do appreciate the tailoring and simplicity, but I need just a bit more movement and ease myself. 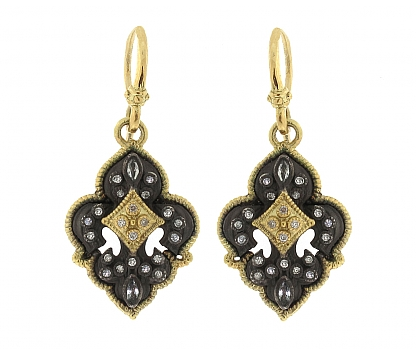 Once again you've found the best jewelry pieces! An interesting analysis of the match between personality and wardrobe. As much as I think she looks fabulous in the show, and certainly there are pointers here about how to achieve elegance through fit, sumptuous fabric, rich neutrals, etc., the overall effect is chilling. . . By contrast, the lap-wrinkles on RW (NOT CU) are rather endearing. Human, at least! I both love and loathe her clothes - just like the woman. She's perfectly wardrobed, I agree. i went to a job interview wearing a dress that wrinkled like Robin Wright's outfit. I was mortified when I saw myself--but nothing to be done. It was a TWO-DAY interview. Amazingly, I got the job. I would never be comfortable in CU's wardrobe but on her it works with such a refined elegance. 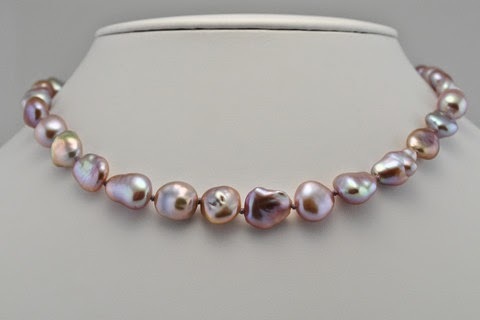 I love those pearls on her and your lavender option is one that I would love if I were not on a savings kick to pad my Paris fund! Btw I think wrinkles on silk or linen are part of the effect...right now I have my linens out for summer and I love the fabric even slightly crinkled. I'm frankly a bit surprised that CU's wardrobe and style are attracting as much positive attention as they are in the 'style blogosphere'. Of course Robin Wright looks phenomenal, but the character's whole schtick is about discipline, knowing and owning your core look and never straying from it. So much of the 'style blogosphere' focuses on creating variety, re-mixing, keeping up with trends (whether or not you like them or think they flatter you), adding color, sticking out for the sake of sticking out, etc. Which is fine, and i really enjoy it on other people, but it's never been my own approach or concern. I'd rather look the same and fantastic as opposed to different all the time but an 8 or 9 rather than a 10; and i'm very interested in using discipline to cultivate a coherent, cohesive style. Anon@7:59: It's not just tall women who feel this way; my petite friends complain that petite sizes are also cut too short. I think the chief contriutor is economic: shaving a few inches of fabric off each piece saves many thousands. unefemme: I read that the fabrics have stretch. They are still very close, but there is give, at least in the narrow skirts. materfamilias: She is written to make women cringe and men cringe and, uh, admire. LPC: The costume designer changed from s1 to s2 but so did CU's role; and when she worked in a nonprofit (S1) her clothes were ore casual. Now that she is the VPs wife, very 'lady'- if Babe Paley were still here this is what she would wear. frugal: Just depends on the milieu. I once toppled over on rising after a 2 hr interview (leg had fallen asleep)- and got the job. hostess: I don't mind linen wrinkled at all, but prefer silk either smooth or twist-tied to be all crinkles. steph: The coherent vs the "fun" or "visible" aesthetic is quite a broad continuum. I've long been drifting to the discreet end, partly because of a wish to not own too much, or things I don't wear. If I had the money and the social occasion, I'd choose at least some of CU's wardrobe, but with more jewelry. I haven't seen the show but I love that elegant lady-like look for work and I do also (having horrid knees) love a longer hemline. Still a bit more colour and a few more accessories would be more me. I'm not a complete mimalist, at all! I love your "plus strict" style posts! But I'm surprised no one mentioned her hair. Controlled, yes, but with natural movement. I think it's an essential part of the "plus strict" look -- at least how it's interpreted on Robin Wright -- and I think it's fabulous. I can attest to the importance of fit and cut. Just yesterday, I wore a skirt that fit so well that it looked like I had a flat stomach, and believe me, I don't. And I wasn't wearing shapewear, either. I was completely surprised! (It was an Eileen Fisher washable crepe pencil skirt with a high-placed, wide waistband I picked up at Nordstrom Rack for half price). And yesterday I saw two women on the street who really stood out from the rest, and both were wearing well-fitting, knee-grazing dresses, one with black pumps and the other with black flats. Both were tall, and slim, and both had longer hair, but it was natural looking and neat. Both dresses were neutral -- one was black and white tweedy print, and the other was black -- and both had great bags on the large side (one was a large Prada cobalt soft leather, and the other a more structured black leather of unknown provenance). There was just something about them. sisty: CU's hair is about the 'loosest' thing about her but I think in season 2 it moves less- or am I imagining that? It seems, with the women you admired, that they were dressed like grown women, not in junior-y little dresses in "cute prints" or "fun pops of colour". eleanorjane: I am always suprised to see what "knee length' in a skirt description actually is: nowhere near the knee.